Home Health Aides also known as Caregivers provide valuable service in the healthcare industry. In order to get hired, you must craft a resume that will convince the hiring manager or the patient’s family members, that you have what it takes to perform home health aide duties. We prepared a Home Health Aide Resume sample to give you an idea on how to present yourself effectively through your resume. They are the ones who attend to patients requiring long-term personal care due to old age, physical disability and cognitive impairment. Caregivers’ duties include taking care of patients’ hygiene, administering medicines, running personal errands and doing some household chores. Caring for ill and old people is very challenging physically, emotionally and mentally. You must be sincerely concerned for patients’ well-being in order to meet the demands of your job. As a Home Health Aide, you will be employed in nursing homes or patients’ private homes. Families of the elderly will greatly depend on your help and want to be assured that their loved ones will be cared for by a trustworthy individual. 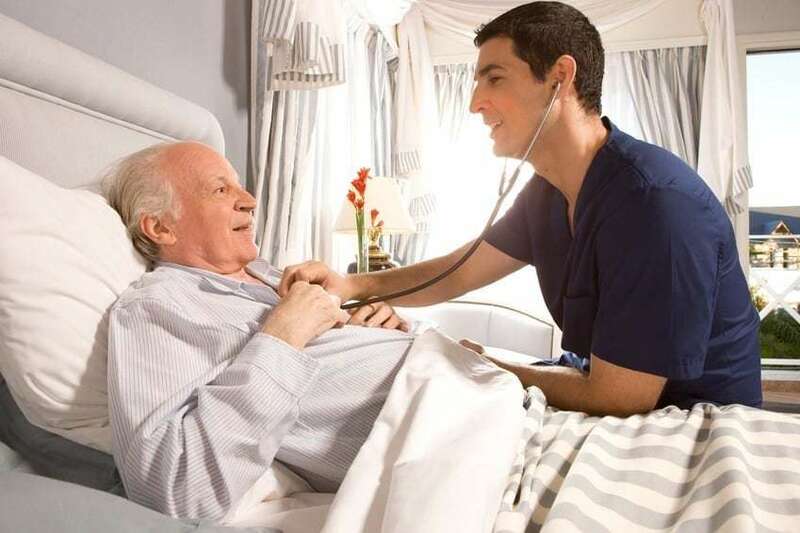 Assists patients in moving in and out of bed, bathing, dressing, grooming and restroom daily routine. Massages patients and changes dressings of bed sores. Hobbies include baking, reading, yoga and biking. Substantiate your qualifications and strengths with your work experience. Show how you have developed a certain skill at work. Do not claim to be capable of doing something just to impress. Take a look at our Home Health Aide Resume Sample. Joanne included “compassionate” in her list of strengths. Her responsibilities at work are consistent with her claim. Match your skills and strengths with the employer’s job description. The content of your resume must be relevant to the job you are applying for. It is useless to include skills and information that are not aligned with the employer’s requirements. Use bullet points. Skip essays or long texts because the hiring personnel only have few minutes to spare. Use short sentences to point out your strengths, outline your work experience and educational background. Incorporate action verbs. Hiring managers want to know exactly what you did for your patients so begin your sentences with action verbs to specify your duties. In our Home Health Aide Resume Sample, Joanne used verbs like assisted, accompanied, administered, prepared and maintained so she could provide clear description of her work duties. Choose the right font. Calibri, Times New Roman and Aerial are good choices. Use 11 to 12 font size. Your objective statement is the first thing the employer reads. You need to highlight your strengths, clearly convey your career direction and strongly present yourself as an ideal candidate for the job to create a favorable impression. This way you will be able to entice the employer to read the rest of your resume. Here she clearly emphasized her experience in providing care for different types of patients. Joanne also used the word “compassionate”, a strong people skill to impress the reader right off the bat. In closing, our applicant stated her intent to join the company and be aligned with their mission. As you can see, our applicant succeeds in keeping the interest flowing all throughout the statement. Keep in mind that you are writing a resume to convince the hiring manager to grant you an interview. Review the job post very well and make sure you fill the skills section with details that match the employer’s requirements. Educational Attainment. Home Health Aides are not required to have a college degree or High school diploma to practice. However, one must complete required hours of training in order to qualify. List your highest educational attainment and indicate all the training programs you have undergone. Certifications. These will give you an edge over other applicants. Most Home Health Aides undergo training for (CNA) Certified Nursing Assistant. Basic Life Support and First Aid Certifications are important programs to undergo if you wish to work in the healthcare industry. List your Certifications on the Strengths’ Section and provide additional details on your training programs in the Educational Attainment section. Additional Skills. In our Home Health Aide Resume Sample, Joanne listed “licensed driver” as one of her strengths. Although this skill is not often required, it will certainly give her an edge over other applicants who have similar qualifications but do not have driving skills. Health Home Aides are expected to run errands for patients and accompany them to doctor’s appointments so her resume will certainly be favored more. Associations. If you are a member of any Home Health Aide Association, list it as one of your strengths. This is a good indication of your awareness on the current developments in Home Healthcare Industry. Administrative Skills. Home Health Aides are focused on patients’ care and are hardly tasked with administrative duties at the center. Review the job description posted by the employer. Match your skills with the requirements to ensure that you only include relevant information in your resume. People Skills. Health home aides face all forms of challenges at work. Hiring managers want to gauge how emotionally and mentally suited you are for this kind of work. Patience, compassion, honesty and flexibility are some of the soft skills that will help qualify you. Highlight your ability to interact with patients positively because it shows that you can build rapport even with difficult people. Job opportunities for Home Health Aides are rising due to growing demand of the aging population. Many families now prefer to have their older loved ones taken care of at home rather than send them to nursing homes. You can apply to healthcare agencies, hospice care services, nursing facilities and social assistance agencies. You can also check out job openings posted on the Internet. The advantage of being employed is that you will be trained, have benefits like insurance, vacation, holidays and sick days. You can work full and part time because your employer assigns their clients to you and sets work schedule. As an Independent Contractor, you have to look for your own clients. Many Home Health Aides who have accumulated years of experience prefer to go this route because they have established a good number of connections already. You can advertise your services on a number of online job communities although referrals are the best source of opportunities for self-employed Home Health Aides. Regardless of your employment preference, you need to prepare a strong resume to get the job you desire. If you haven’t had luck with your previous resume, it is high time for you to write a new one. Pattern it after our Home Health Aide Resume sample and follow our writing tips to increase your odds of getting hired. If this Home Health Aide resume example wasn’t sufficient for you, you are free to review some other samples and templates from our site. Browse to some related resumes below and find your inspiration.